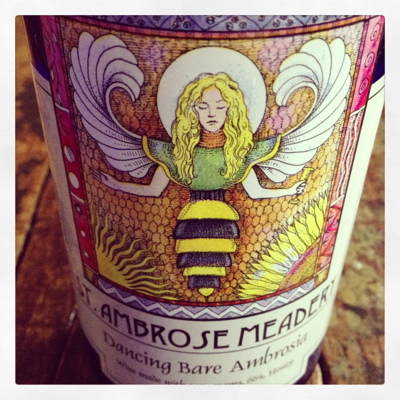 If you like meads and haven’t tasted an example from St. Ambrose Cellars, you are truly missing out. Located in Beulah, Michigan, St. Ambrose Cellars produces a variety of estate meads, traditional grape wines and honeys at Sleeping Bear Farms, one of the largest apiaries in the state with 7,000 bee hives. What started out as a hobby for owner Kirk Jones over 35 years ago has evolved into a fledgling meadery in Northern Michigan. In its simplest form, mead is a fermentation of honey and water. An incredibly diverse beverage with a history dating back at least 9,000 years, meads can vary wildly in style and flavor. The “star” of the show is the Star Thistle Ambrosia, a dry mead produced in the traditional style. Rich honey aromas and elegant floral notes greet the nose. Ripe tropical fruit and smooth honey play together, complementing each other in total harmony. A light-bodied mead that is surprisingly food friendly, or delicious on its own. The Dancing Bare Ambrosia is a blend of 34% grapes and 66% honey. 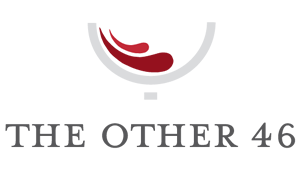 The pyment (a wine made with grapes and honey) is a semi-sweet, crisp autumnal delight, fermented with Star Thistle Honey. The team at St. Ambrose Cellars has created a lineup of meads that are unmatched in quality and taste. A job well done!